Prime Minister announces £56 million investment for battery storage technology enabling renewables that will give thousands of people across South Africa access to clean energy. As part of her trip to South Africa to deepen the UK’s business, trading, diplomatic and research partnerships with the country, the Prime Minister set out a more than £56 million ($72 million) contribution through the Clean Technology Fund to a $500 million investment in battery storage developed by the World Bank and the African Development Bank in partnership with the government of South Africa, fast-tracking the region’s access to clean energy. Battery storage involves storing electricity so that it can be used later- important in filling in the gaps when its overcast or no wind. These batteries are a very real alternative to fossil fuels like coal and gas, making energy supply secure. As part of her 3-day visit, the Prime Minister has also announced new projects that will develop closer research ties to help transform local economies by improving harvesting techniques and developing healthcare technologies. Investing in research, developing the skills of tomorrow, and tackling the global threat of climate change are key commitments of this government and are at the core of our modern Industrial Strategy. Science and innovation has no borders with many of the best discoveries being international partnerships and collaborations. These initiatives will deepen our ties in these important areas with our African partners for years to come. We know that tackling a future-defining challenge such as climate change requires big, new ideas. In the UK we have made support for clean growth 1 of our 4 Industrial Strategy Grand Challenges – but this is a challenge shared with our partners across Africa and internationally as the impact of climate change internationally affects us domestically as we know. This project, the first of its kind in the region, will use an innovative technology to transform the country’s energy system, supporting South Africa’s long-term commitment to decreasing carbon emissions by developing bold, new renewable technologies – bringing about a climate revolution whilst also enabling the creation of thousands of jobs for young South Africans. During her trip to South Africa, Nigeria and Kenya, the Prime Minister announced a new phase of the UK’s support to the Development in Africa with Radio Astronomy (DARA) partnership. This new £3.7 million investment will fund training for 35 students to PhD and Masters level. It will see a new generation of radio astronomers develop their skills into other big data areas, helping develop and improve ways of managing land to help with harvests, as well as targeted health service provision so more people across Africa get the right treatments at the right time. 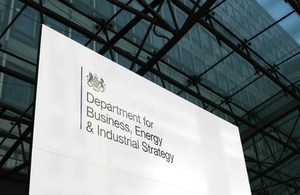 AI and big data is at the heart of the government’s modern Industrial Strategy and through the Artificial Intelligence Grand Challenge the government has recognised the potential opportunities that big data and AI could bring to the global economy, increasing productivity and delivering high value jobs. Young minds across Africa hold the key to discovering brilliant, new solutions to the world’s challenges, and to maximising exciting opportunities for both British and African young people. This is why the UK is working with, and supporting the development of, the brightest research, academic and science talent from across Africa. Global Britain’s world-class offer in science, innovation and research can take these partnerships to the next level. Showcasing the UK’s expertise in low carbon innovation, the government also today announced the next phase of the UK-Nigeria Climate Finance Accelerator. The initiative matches government, project developers, finance market players from Nigeria, with experts in climate finance and investment in green projects from the City of London. The UK can share expertise with Nigeria on how to invest in green projects, from increasing the country’s renewable capacity to improving the resilience of food chains. Funding has also been granted to nine projects to develop food security through joint research. The work will focus on improving African farming systems and developing sustainable agriculture. Resolving some of the threats to produce include looking to the benefits of grass pea in drought-prone environments and using natural pest regulation to ensure the successful harvest of legumes. As well as this, the government has committed £1.5 million to a new research fund to help African researchers study the effects of climate change and explore climate issues that are most important to them and their own countries. Climate change is the most critical challenge facing the next generations – and Africa will be disproportionately affected by climate change, with temperatures likely to rise faster than anywhere else in the world. That is why, as part of the UK’s new and distinctive offer to work alongside, invest in and partner with African nations, the government is bringing in even more of the UK’s world-leading climate experts to build on our existing partnerships – working with African governments to build climate resilience, cut emissions and ultimately, ensure we all meet the international climate commitments made in the historic Paris Agreement. During the visit, it was also confirmed that the Africa Prize for Engineering Innovation, which encourages ambitious and talented sub-Saharan African engineers to develop solutions to local challenges, will receive further £500,000 funding boost. I am delighted by this boost to the Africa Prize for Engineering Innovation, which is now in its fifth year. The additional funding will strengthen the Prize’s capacity to support talented engineers in developing local, scalable solutions to real-world challenges, and in contributing to socio-economic progress through their innovation-based businesses. It will particularly help in improving engagement with female engineering innovators, and in building networks of successful sub-Saharan African entrepreneurs to train and mentor the next generation.
. South Africa gets clean energy boost. 2018-08-29.